A common practice used in both developing and reviewing games that I am aware of is the MDA framework. The MDA framework was first proposed in 2004, and attempts to connect the developers with the analytical gamers using three simple categories: Mechanics, Dynamics, and Aesthetics. Each of these elements works both separately and as a group during the game development process. By better understanding the MDA framework, we better understand how to approach games as a whole. To start off, let us look at game mechanics. Mechanics are set by the developers as rules or situations that constrain/guide the player. These rules may be as obvious as giving a player a gun and saying, “You have ammunition. It runs out”. You could tell a basketball player, “Whatever you do, don’t step across this line”. These constraints may also be less obvious or apparent, by an invisible wall that prohibits the player from leaving the level. Spawn points are a mechanic, constraining the player a certain distance away from the heat of the action, yet spawning them in a pre-set location. Mechanics run the game, and they are forcibly accepted by the player. Considering that players do not mod their game - unless it is what the developer intended – people playing FPS’s (First Person Shooters) cannot change the accuracy of their gun. You cannot change your likelihood of scoring a crit roll in Dungeons and Dragons unless you work to change your stats. These mechanics are what developers need to perfect. It is essentially what drives the game, so in turn; mechanics are what drives the fun. In my opinion, good mechanics are invisible. They say that rules are meant to be broken , but what if a developer makes a rule that people instinctively don’t want to break? When a player runs into an invisible wall, or some invisible hand guides them back on the path they wanted to take, it kills the immersion a player gets, and ruins part of their fun. Thinking about game mechanics is a key job for the level designer. In single player games with strong level design, a player almost always wants to go on the path the level designer intended. A level designer in a way battles with the player, forcing them down a certain path while still making the level feel open. Good use of lighting, sound, scripted events, and motion can guide the player. For example, in one game I’ve been playing recently, F.E.A.R 2, I have never gotten lost, and always seem to know where I’m going. If a level designer isn’t noticed in the game, then he or she is doing their job perfectly. Dynamics are created by a player’s interaction with the game mechanics. The game dynamics are what invokes a player’s response or reaction to a game. They are shaped by the mechanics, and well thought out mechanics lead to more predictable dynamics. One dynamic used in the MDA Framework essay is that of the "camper". If spawn points are created and a point is accessible by the enemy team which overlooks said spawn points, there will be camping. If the developers had thought about spawn points and placed them cleverly, base camping could be avoided. Dynamics are the reasons that we have game prototypes, play testers, and as a whole, iterative development cycles. A game mechanic might sound great on paper, but you find loopholes and gaps that can mar a potentially great experience. If a game calls for a timed event and the player must complete something within the given time frame, make absolutely sure that the time frame given is plausible. A countdown alone, even if twice the amount of required time is given, will put a sense of urgency on the player. In a game where you think you have a cool death system that harms player’s equipment or stats, make absolutely sure that there is some sort of way to get them back or balance it. Too many games feature a positive feedback system, where if you are good, you are rewarded, and if you are bad, you are punished. This only leads to frustration on the bad player's part and oversimplification on the good player’s part. Aesthetics- Fun? Aren't I supposed to be enjoying this? Fun! The reason we play games (for the most part). Aesthetics are the emotions triggered by dynamics. Take the base camping example shown in the last section. People who are getting spawn camped now become depressed. People are spawn-camping get bored. Games need to promote or encourage some sort of positive emotion for them to be well received. The MDA Framework provides eight emotions that attempt to encompass why we play games. Games can encompass multiple… keywords, we’ll call them, and if a game is well-developed, it should be planned what kind of fun the player will be having. Some of these keywords are self explanatory, but I feel like I might as well go in-depth and breakdown ways to achieve these aesthetics in your game planning. Sensation is when the player is experience something completely unfamiliar to them. Someone who has never played a RTS (Real-Time Strategy) in their lives would experience a brilliant sensation when picking up StarCraft II (or brilliant frustration… so many buttons). However, a hardened-FPS fan would not get any sensation by playing the millionth WWII shooter out there, unless they brought a unique gameplay mechanic to the table. Fantasy is where the player gets caught up in an imaginary world, and tied in to something that they feel could exist. This is what fuels the player’s feeling of immersion. This is more fueled by a couple other keywords, but a way to help out fantasy is to create a persistent world, where (even in single player) the player can notice changes in the world that they cannot influence or affect. Narrative is potentially the most self-explanatory of the keywords. Make a story which drives the player to keep coming back, where the player wants to figure things out. This is a difficult one to achieve, because the developer needs to mentally connect with the player, and when the target audience consists of thousands of people, the task gets tougher. Creating carefully ambiguous characters will push you towards good narrative, as well as creating a fantasy world such as Rapture in Bioshock, that has a story to tell or figure out. 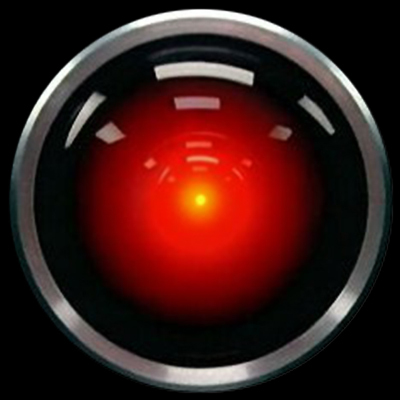 In my coming blogposts, expect something about character development to show up. Challenge is when the player feels the need to master something. Planning for this aesthetic is what boosts a game’s replay value. 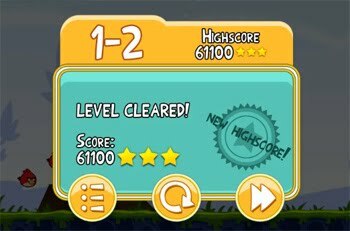 In Angry Birds for instance, I have played every single level, but I feel challenged to get three stars on everything. I could have been done with the game weeks ago, but I keep coming back to it because I feel challenged. Implementing some sort of feature that grades the player is an easy way to boost this aesthetic in your game. Fellowship is portrayed when a community is formed that the player is actively a part of. This is almost exclusively reserved for multiplayer portions of games, unless a character is so well developed that the player can form a seemingly mutual relationship with them (which feels like it could be dangerous…). Fuel your game’s fellowship rating by including not just multiplayer, but multiplayer which encourages interaction. Left 4 Dead is a great example. By using tight-knit teams reliant on communication for success, it is easy to form social connections with certain players. Of course MMOGs (Massively Multiplayer Online Games) also fall under this category. Expression- when the player plays to use their own creativity or leave their mark. My favorite game to use for this example is Little Big Planet. It is, in its raw form, a game about creation. Players are more than encouraged to use a robust editor and do whatever they desire. Not every game with expression requires a complete editor, however. Character creation will allow players to showcase their avatars, and take pride in their work (Oblivion, Saints Row). Games where the player makes core choices to change the game world (Knights of the Old Republic, the Fable series) also give the player a sense of expression. Submission- In my personal opinion, the hardest keyword to break down. Submission is when a player literally ‘submits’ themselves to the game. The player is bound or constrained by mechanics, but they love it the entire time. Final Fantasy is placed in this keyword because a player is tightly constrained to hours of cutscenes, random battles they may not want, and days of seemingly repetitive gameplay. Players submit to World of Warcraft, bound forever in a persistent world with limited gear… Submission certainly isn’t a bad thing, but it is very difficult to predict and achieve. I think that the only way to get submission tagged on to your game is to excel in all the other keywords... Kind of like a Jedi. Thanks for reading this long-winded post, hopefully it helped you realize a way to expand your thinking in terms of game development. But there needs to be a resolution. Where does this MDA fit in regarding everyone? The big picture? Well here is the sum up. The MDA framework bridges the makers to the players. Makers can create a game starting at the M or the A. If one developer creates a unique gameplay mechanic, to see if they want to go through with it they can think about what sort of dynamic it would create when a player interacted with it. Based on this predicted dynamic, what sort of emotion would the player feel? On the flip side, if a developer wants to give a certain emotion to the player, they can think of situations which may cause that emotion, and then a mechanic which could guide the player into a certain dynamic. From the player's perspective, few people will ever get past the Aesthetics. Many will just say, “Oh, that game was fun,” and be done with it. Analytical gamers and reviewers will potentially take it all the way, however. They might realize what made the game they played fun, and then look at exactly why they are having fun. A reviewer doesn’t just say that a game was fun. They look into what it was that made a game fun, and then looked at the reason that ‘what’ happened. Many magazines such as GameInformer break games into sections such as ‘Graphics’, ‘Sound’, ‘Replay Value’, ‘Playability’, etc. All of these attributes you should now be able to break down into the MDA Framework and say, “This game was replayable because ____. This game’s controls were broken because _____.” Let me know if you have any questions or comments as always, I would love to hear what you think on this subject!